Since I have started writing this blog, I have always maintained the fact that I adore Yankee Candles. 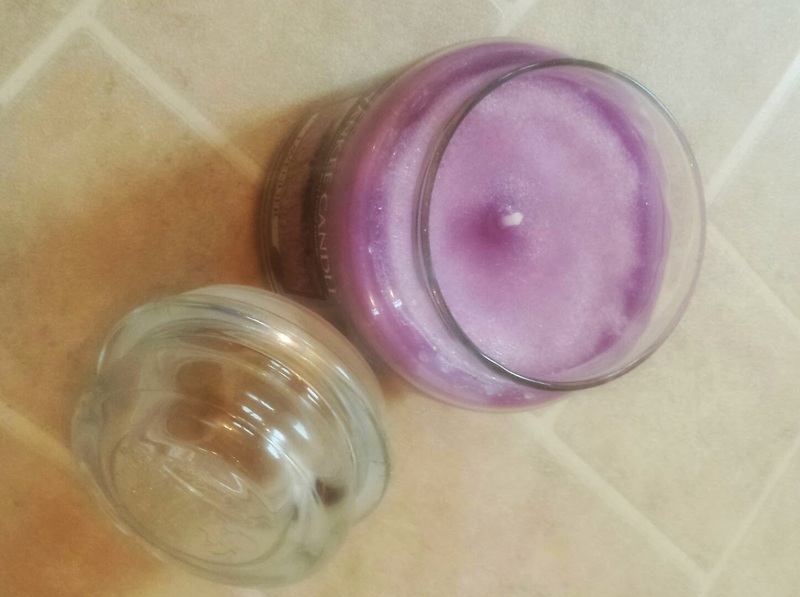 Yankee Candles are one of my favourite items to buy and when you enter my house you can either smell a Yankee Candle burning or you are able to see lots of Yankee glass jars littered around my home. This Mothers Day I have asked for more Yankee Candles to be gifted to me. They are a fabulous treat and something which I enjoy collecting. We have recently redecorated our bedroom, so I have asked to be treated to a new candle which can sit on my bedside table however last week I was lucky enough to be sent a new candle which now sits proudly in my conservatory. I was sent the lavender medium sized jar Yankee Candle just in time to celebrate Mothers Day with. Lavender has always been one of my favourite smells as it is a strong floral smell which I think is calming and relaxing. When the candle arrived I was extremely pleased. The candle came well boxed and inside the box, I was presented with a medium sized purple jar. The purple was a light purple which I loved. I often enjoying taking some time out in the conservatory so I placed the candle outside in the conservatory with me and allowed the Yankee to burn. The lavender smell filled my conservatory with a strong smell. I felt warm and relaxed whilst sat at my laptop completing the work I had left to do that day. The candle burnt slowly and slowly but surely filled my home with a lavender smell which I thought was great. 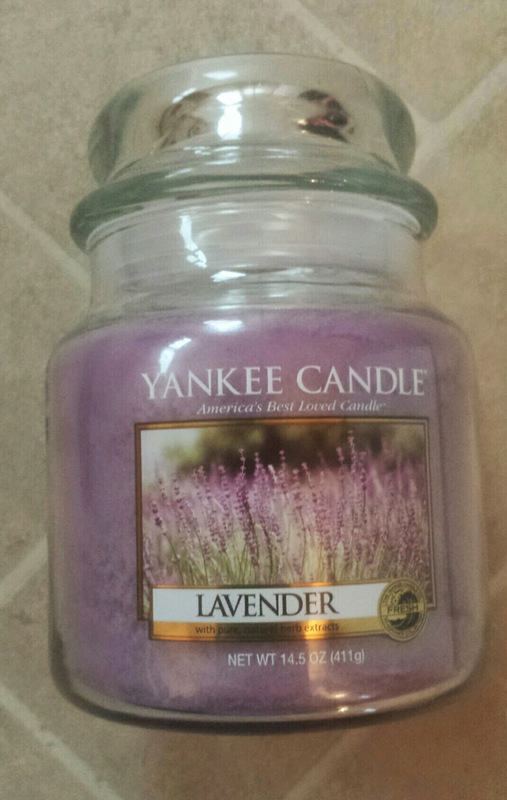 To me the lavender Yankee Candle is one of Yankee's classics. It is either loved or hated however it is a firm favourite in our home. Not only does it put me in a calm and relaxing mood, it also acts like a air freshener. Once I have burnt this candle down I shall be purchasing more of the same scent. A medium jar candle provides 65 to 90 hours of true fragrance enjoyment. Yankee Candle's offer many candles so why not gift your Mum a candle this Mother's day? You can expect a medium Yankee candle to cost around £16.99 or a large one to cost £19.99 which to me is a brilliant price for a good quality, unique, picked gift. However I did receive the product for the purpose of this review. This post is written in my own words.